Crime IQ | In California, there’s a better way to practice law. The idea was to make the complex, simple. We put all the related consequences of an offense on a single screen and then made it mobile. Crime-IQ is for the iPhone, iPad, iPod, HTC G1, myTouch, or any device using the Google Android browser and the Blackberry Torch. Crime-IQ can be accessed by any MAC or PC desktop or laptop using IE, Mozilla/Firefox, Safari and Chrome. Choose your favorite devices and use Crime-IQ on your smartphone, tablet or computer. Crime-IQ keeps users current without downloads or system interruptions. We handle all the tech to keep you up to speed on the law. Easily calculate determinate and indeterminate sentences with tips, examples and caselaw to help. Each screen contains a huge cache of information about an offense. You save hours of research and gain peace of mind. Our program is internet based. Nothing is loaded on your server, computer, or mobile device. Your data is secure. you know how to use Crime-IQ. 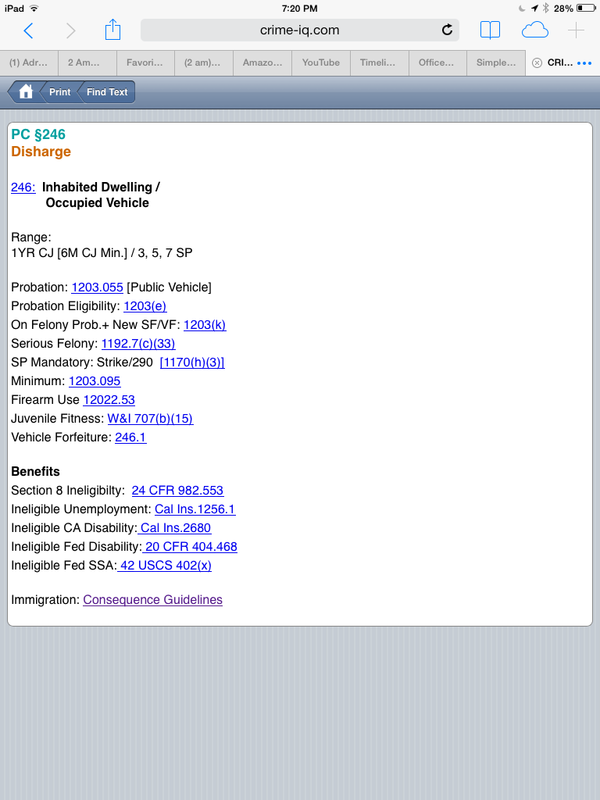 Crime-IQ is the first and only place I go to when trying to figure out California’s ever changing sentencing options and collateral consequences. Having it available in Court is a lifesaver. Its always up to date and so user friendly that even the most tech-challenged attorney can use it. I highly recommend Crime-IQ to everyone who practices criminal defense. It’s almost malpractice not to have it! I use Crime-IQ on my PC AND my phone, anytime and anywhere. 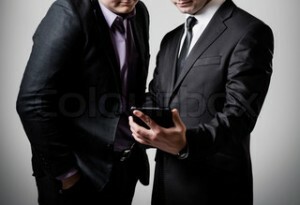 The app is valuable when consulting with a potential client. I can advise clients of the exposure and other legal consequences without having to flip through the penal code or Lexis pages. It is highly effective when consulting in-custody clients to have all the important statutes highlighted and easily obtainable. I used to be a loyal CrimeTime user however once I made the leap to Crime-IQ I have never regretted that decision, other than I should have switched sooner. The customer service is quick, effective and thorough whether I call or email. 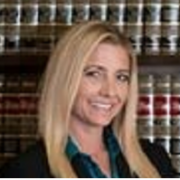 I strongly recommend Crime-IQ to all California criminal lawyers whether you’re a defense attorney or a District Attorney, this application is worth the money and then some. Crime-IQ is extremely user-friendly, even for the most tech challenged among us. There is nothing to download so user’s mobile devices, PC’s and networks are always secure. Best of all, updates are done automatically so users are kept current with no effort on their part. If you know how to use the internet, you know how to use Crime-IQ. But, should you need help accessing the program from your device, Crime-IQ provides amazing hand-holding support.